As the challenges in retail sector become big, the expensive retail space and fierce competition has resulted in setting up the beat for online retailing. The small retailer whose customers are located in and around their store have understood that the buyers are all across the country. Their quality of products is good enough to compete with other big players in the market, the prices are reasonable and the customer is spread far away. All this has led to a concept like that of Bake box and Snapdeal. Bake Box owned by Jennifer Duthie, was launched in August, is all about delicious cakes. The online order and delivery portal is now associated with 65 home bakers. This unique concept apart from giving a platform to these home bakers also brings in variety through a unique operational concept. Similar to Bake Box, Snapdeal is working with a lot of small fashion retailers in exposing them to a bigger consumer base offered by them. Providing a separate page for these retailers, they have brought these retailers closer to their potential consumers, otherwise which would not have been easy. The concept of Bake Box is much more than that of any other home delivery portal. Their association with the small homebakers is not only fruitful for these home based entrepreneurs but provides a variety to the products delivered by Bake Box. 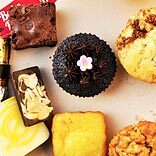 Bake Box features a home baker on its website every month and offers its subscribers a box full of delicious baked goodies. The products are generally new concoctions or best selling items from that particular baker. Bake Box selects the best bakers in town through a series of interviews and taste tests. The brand also organises regular events at different popular cafés where cakes are the theme and fun and frolic adds to the publicity of the homebaker. The venue is different for each event and is in sync with the product offered. Snapdeal has given an online platform for a lot of small and local retailers who were willing to reach out to their audience via e-commerce platforms. Ashwin, an engineer by education, supplies sarees to e commerce portals. His 1st brand (Divaa) was launched in end May, while the 2nd brand (Diva Fashion) was launched in August. Till now, both the brands have done a business worth 33lakhs at Snapdeal. Kanchipuram Silk sarees which are sourced from small town of Tamilnadu known as Tirunelveli where we sourced directly from weaver and launched them in October Last week and just after the launch, lot of sarees got excess orders and were sold out. The major challenge was to explain the model to typical villagers who are conservative to such initiatives and Snapdeal was one among player to convince and get the business rolled and generate good amount of revenue for the weavers. The products by these small retailers are worth big bucks. The challenge that they face is lack of exposure to the fast urban customers and in an expensive marketing and retail environment their well deserved growth has been restricted to a miniscule magnitude. Such challenges have been transformed into an opportunity by the concepts of Bake Box and Snapdeal which have definitely provided a bigger market to these small retailers.